Since I've been using my Macbook Air more than my iMac desktop computer, my laptop has been flashing warnings that its internal storage memory is getting low. Today, the storage is almost at zero so I had to back up to another storage device. And that's when I saw a zillion photos I haven't uploaded on Facebook and a number of places I wanted to blog about but wasn't able to. 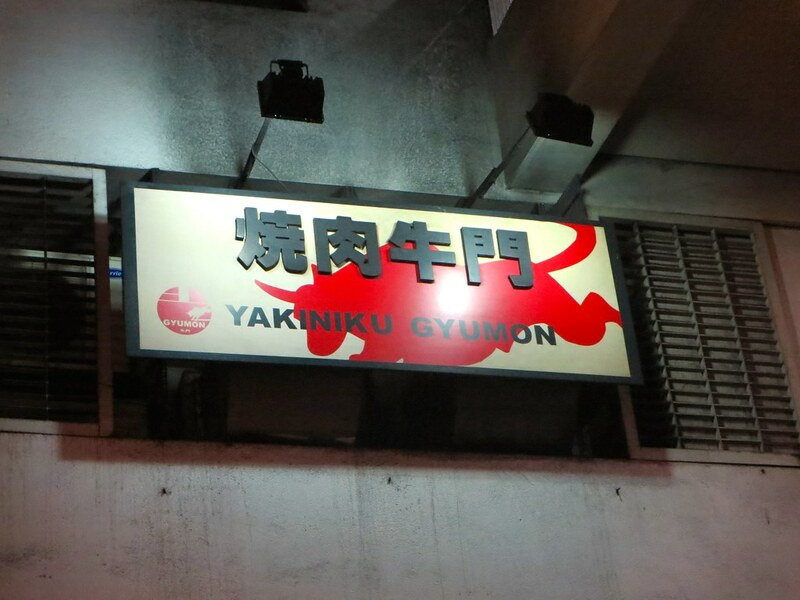 So I'll try to write about them one by one, starting with this authentic Yakiniku restaurant in Makati called Gyumon. 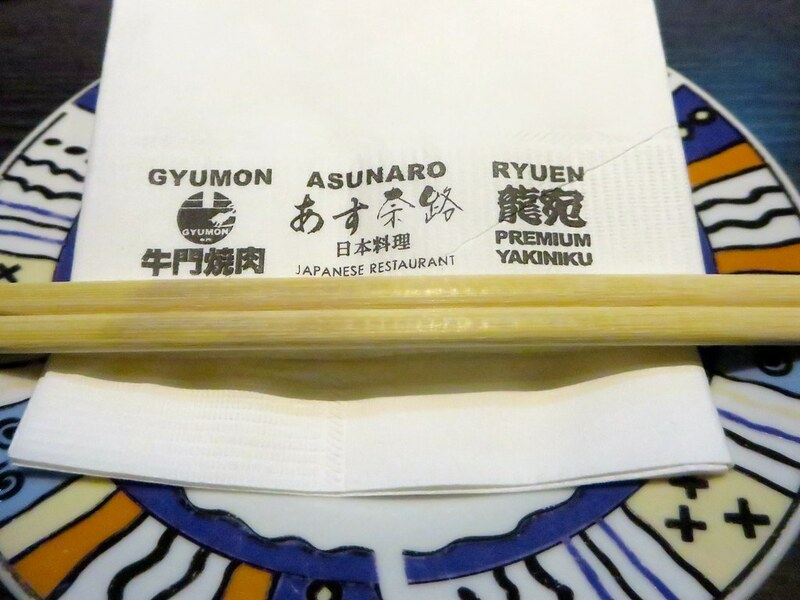 After an event in Rustan's Makati (read my blog post about Swarovski's 2014 Fall Collection), T picks me up and we go to Pasay Road to look for a good Japanese restaurant. 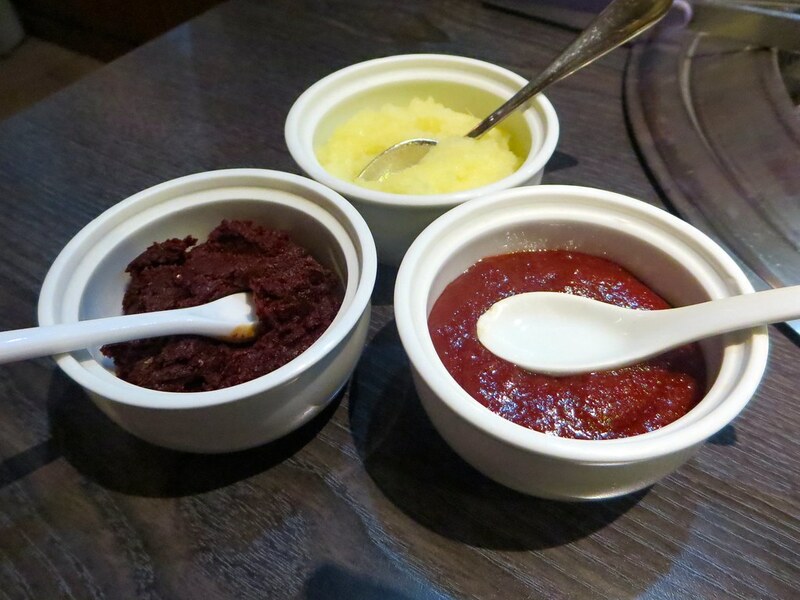 Our server gives us three types of condiments and sauces: Crushed Garlic, Sweet and Spicy (this is really spicy), and Spicy Miso. 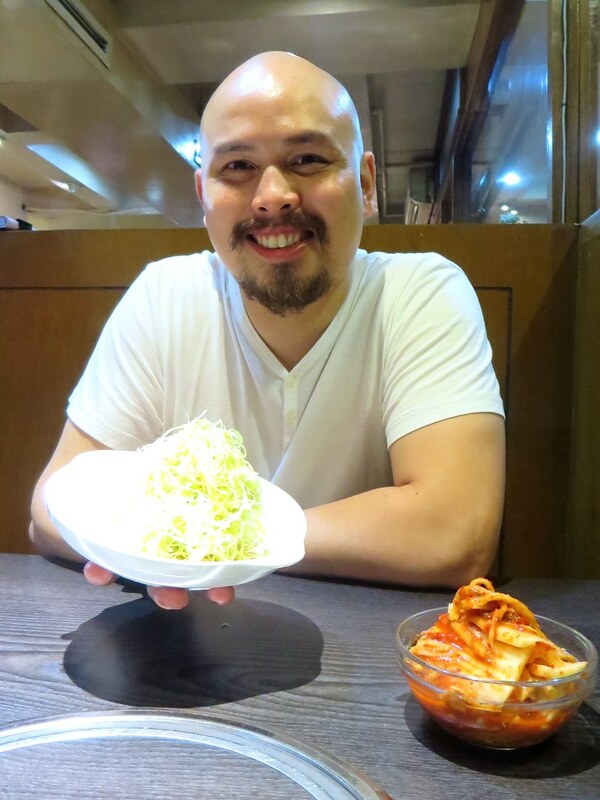 We are also given complimentary cabbage salad as our starter but when I see that there is Kimchi (PhP150/$3.20+SC) in the menu, I ask for an order. Gyumon's Kimchi is good and very spicy. I like it. For our meat, we ask our server for recommendations. After laying out the usual best sellers, we order Jo Karubi (PhP550/$11.72+SC) which is prime rib meat, premium Jo Harami (PhP580/$12.40+SC), and Eringi Karubi (PhP180) which is Eringi mushroom slices with special house sauce. 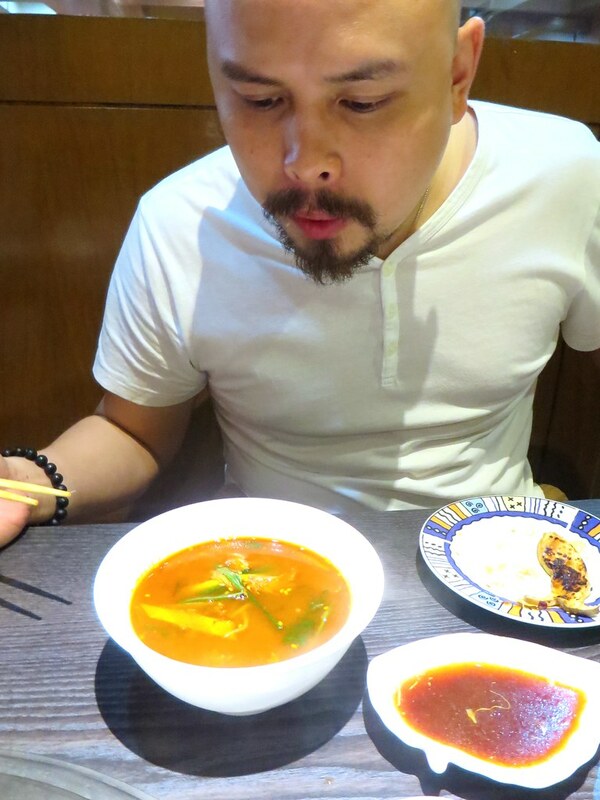 We also order Karubi Soup (PhP330) which is extra spicy soup of beef ribs. 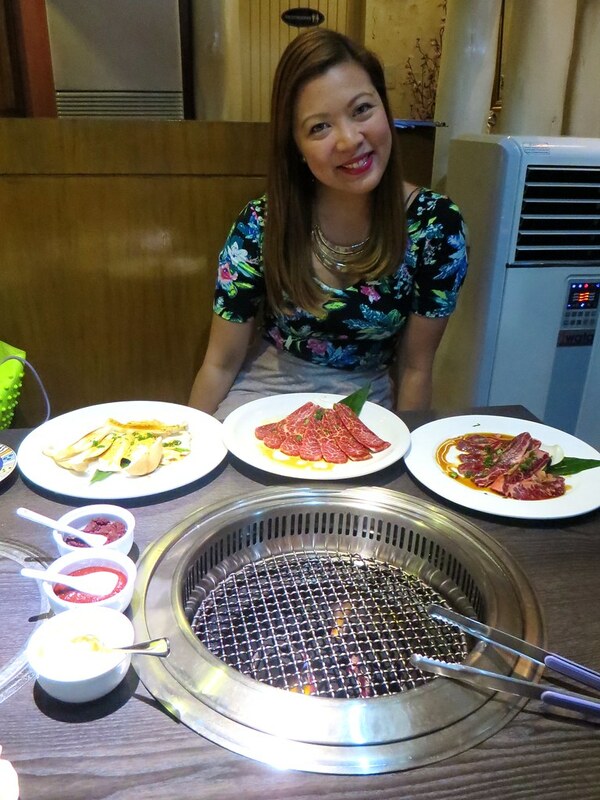 Good authentic Yakiniku that won't break your budget. Nothing much except that it gets full and is only open for a few hours every day. 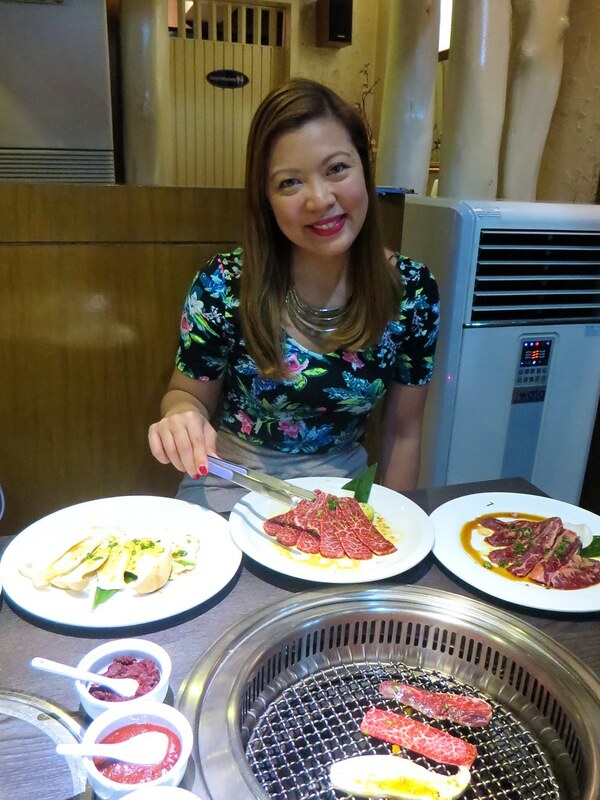 If you're looking for an authentic Yakiniku place and don't mind not being able to Instagram your food, Gyumon Restaurant is worth a try.